An item hasn’t really “made it” until it’s being offered at Trader Joe’s, the mecca for mass trendy foods. And now that I see one of my favorite, gut-healthy items there — kombucha — I know the fermented tea is on its way to public superfood status. But what really makes this healthy ingredient buzzy is that it’s also popping up on the hero list of ingredients for skincare products from brands like Fresh Beauty, Juara Skincare®, Pacifica®, and more. Here, we’re going to take a look at why brands are using it and what it actually does for your skin. “Kombucha is fermented, effervescent black tea,” explains Lev Glazman, the co-founder of Fresh Beauty. “The drink dates back to ancient times. It was historically known in Asia and Russia to promote health and longevity because of its detoxifying properties.” Note that some Kombucha may have some alcohol content. What makes kombucha healthy is that it has been fermented with a special culture of beneficial bacteria and yeast, adds Yoshiko Roth-Hidalgo, co-founder of Juara Skincare. “It has long been known in Indonesia as ‘te ajaib,’ which means ‘miracle tea’ for all its health benefits,” she says. While there’s no hard evidence that kombucha is a miracle drink, studies have been done to prove that kombucha contains probiotics thanks to its fermentation process. Probiotics have shown to have some benefits and are considered the “good” type of bacteria we want in our guts. Dermatologists often give advice that a healthy gut may improve skin health, since the skin is an organ reflecting what’s going on internally with the body. OK, but how is using kombucha topically in skincare actually different than drinking it? He is referring to Fresh Beauty’s Facial Treatment Essence ($68), which was actually the first product containing fermented tea that I tried. The watery lotion is applied to skin after cleansing before serum, lotion, and SPF. After using it daily for a few months, I noticed that my skin looked brighter and felt smoother. So why use it in skincare? “When we discovered the topical benefits of kombucha, including antioxidant protection and helping to revitalize skin, it was a no-brainer to include it in our face products,” notes Roth-Hidalgo. 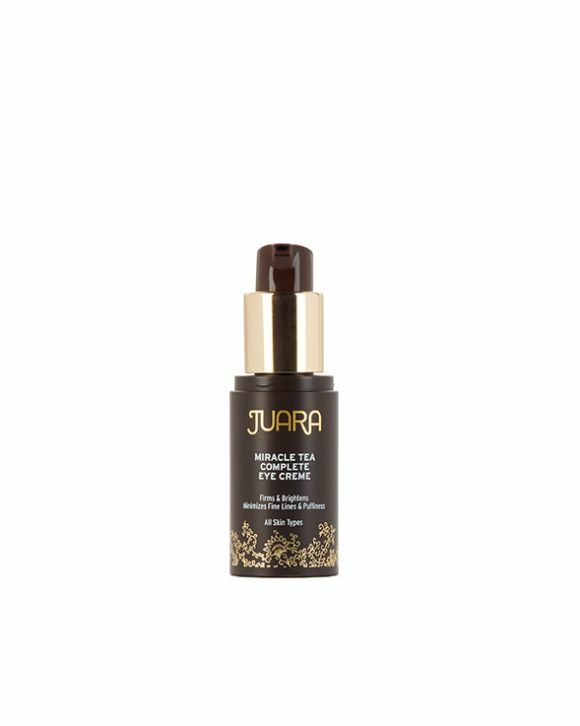 “You see long-term improvement in skin radiance, smoothness and luminosity.” Juara offers a medley of products including the ingredient, my favorite being the Miracle Tea Complete Eye Creme ($48), which feels creamy and nourishing. I rely on it when my under eyes feel crepey or I drank too many glasses of champagne. Pacifica, a vegan brand known for incorporating natural ingredients, also created a small line of kombucha-infused products. A hero from the offering is the Rose Flower Hydro Mist ($10). The light face mist is made with rose water and kombucha, which together perk up skin and give a dewy look. I like to use it to prep my skin for makeup (spray it on a blending sponge and pat into skin with foundation) or midday when I need to feel refreshed. Will kombucha be the next big thing in beauty? Sometimes it seems every week, there’s a hot new ingredient be it watermelon, coffee, or something else. But the pros believe kombucha is only going to increase in popularity. As someone who has been using kombucha skincare for months, I can attest the benefits are true, and kombucha has earned its rave reviews as the next best thing in beauty.